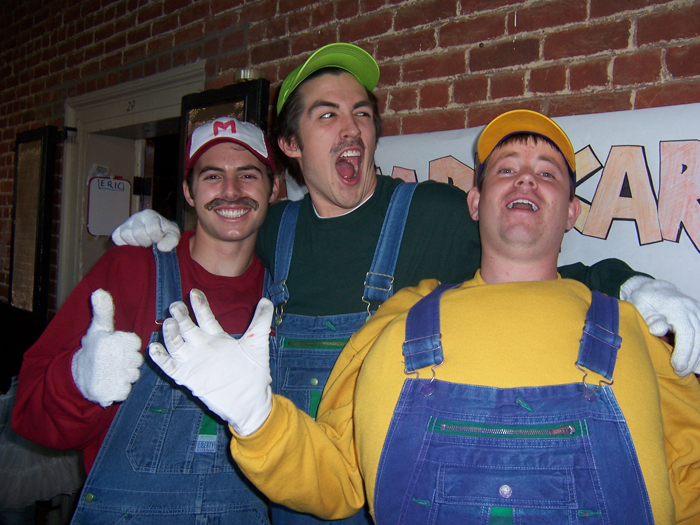 Eric Cunningham, Jordan Levy and Pat Harvey as Mario and Luigi and Wario. Eric says, "I lived in 29 West and Jordan was in 27 West, so we would play daily matches on MarioKart64. [This picture] is wildly unflattering."